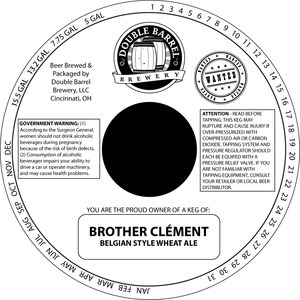 Brother Clement Belgian Style Wheat Ale is brewed by Double Barrel Brewery LLC in Cincinnati, Ohio. The alcohol content is 6.8%. This brew is served on tap. We first spotted this label on May 27, 2013.